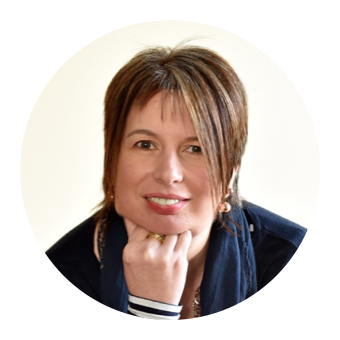 A couple of in-service days, 2 kids to occupy and a husband working in South East Asia. All these factors collided perfectly with an opportunity to visit Forbes of Kingennie Country Resort. Situated in Angus just 5 miles from Dundee meant a journey time of just shy of an hour for us. The weather on our arrival was a typically driech Scottish Sunday afternoon however even then we could see what a fabulous setting and great views were on offer. These became even clearer the next morning when we awoke to autumnal sunshine streaming through our lodge windows. Our accommodation was one of the waterside lodges just a stones throw from the Restaurant, Bar and Sport's Reception. The lodge sleeps 6 and with only the three of us we had a room each which pleased boy and girl very much. 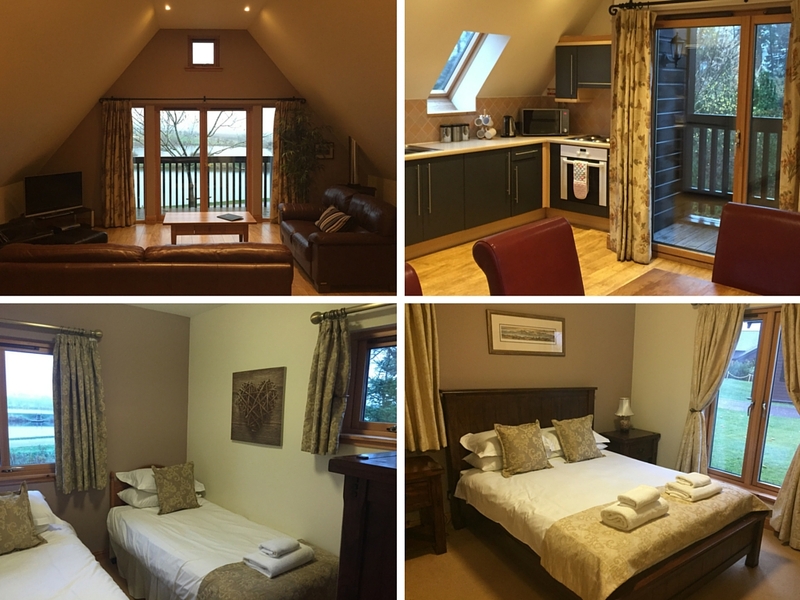 All the rooms in the lodge were very spacious, bright and light with plenty of storage space. I even had a walk in wardrobe in mine and a jacuzzi bath in my ensuite, much to the consternation of my daughter. The bedrooms and bathrooms were downstairs and there was a huge open plan living space upstairs with lounge, kitchen and front and rear balconies. 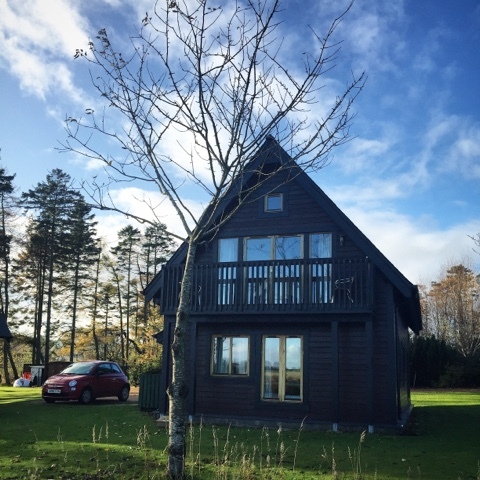 There are 14 lodges on site, some of which are dog friendly. They sleep from 2 - 10 people and all offer four star luxury self catering facilities. They are all named after Angus glens (ours was Glen Shee). The Leannan Boathouse looks like the most fantastic romantic hideaway. It was built in 1855 and when the resort first opened it was the fishing shop. Now many of those who get married at Kingennie spend their wedding night in it. 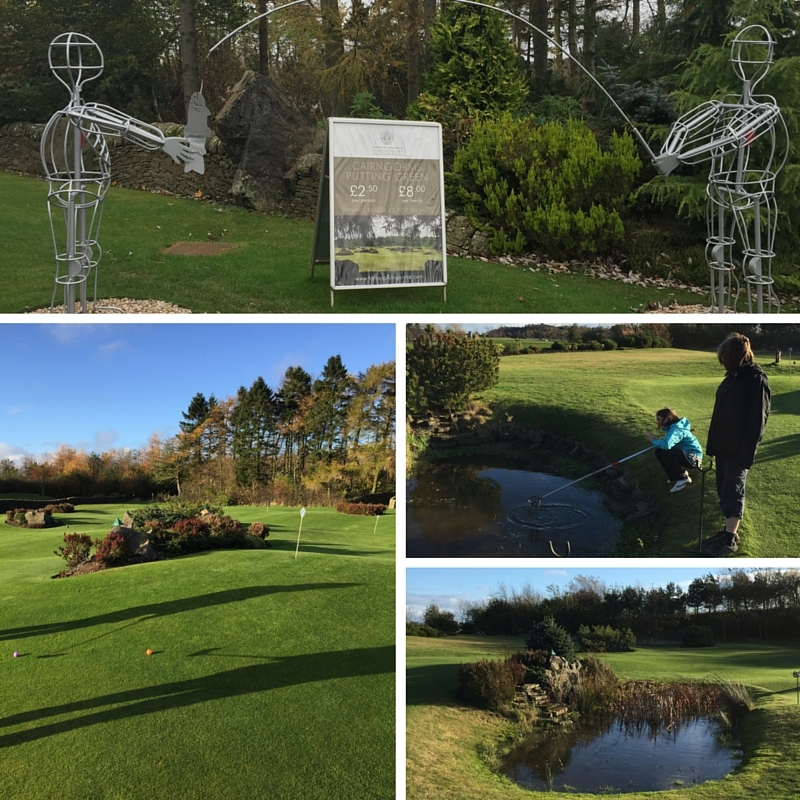 Two of the main things that bring visitors to Forbes of Kingennie are fishing and golf. Our previous fishing experience was zero and golf to us means crazy golf. We took a fishing lesson under the expert tuition of Grant who soon had us casting like professionals. He assured us of a catch and before too long boy got a bite and reeled in his first ever fish. Girl wasn't too far behind and over the course of an hours lesson they each caught two good sized trout. No tales of the one that got away as both proudly displayed their catches and weighed them in. Girl wasn't quite so keen on the gutting part but ever the foodie boy borrowed a sharp knife form the kitchen and did the needful. Next on our to do list was the Angus Thistle Maze however we were disappointed to find it was closed for a couple of days due to maintenance. All the more reason to return at some point to tackle it. Green and Copper Beech and a trail of questions combine in the shape of a thistle. Instead the Cairngorms Putting Green was to be our next challenge. 18 holes spread over a course designed to emulate the Cairngorm Mountains complete with Glens, Corries, Passes and Munros. The fishing lesson proved its worth as a number of balls had to be retrieved from lochs along the way. We didn't keep score but I'm pretty sure I won. At least I didn't have to go fishing on the golf course. 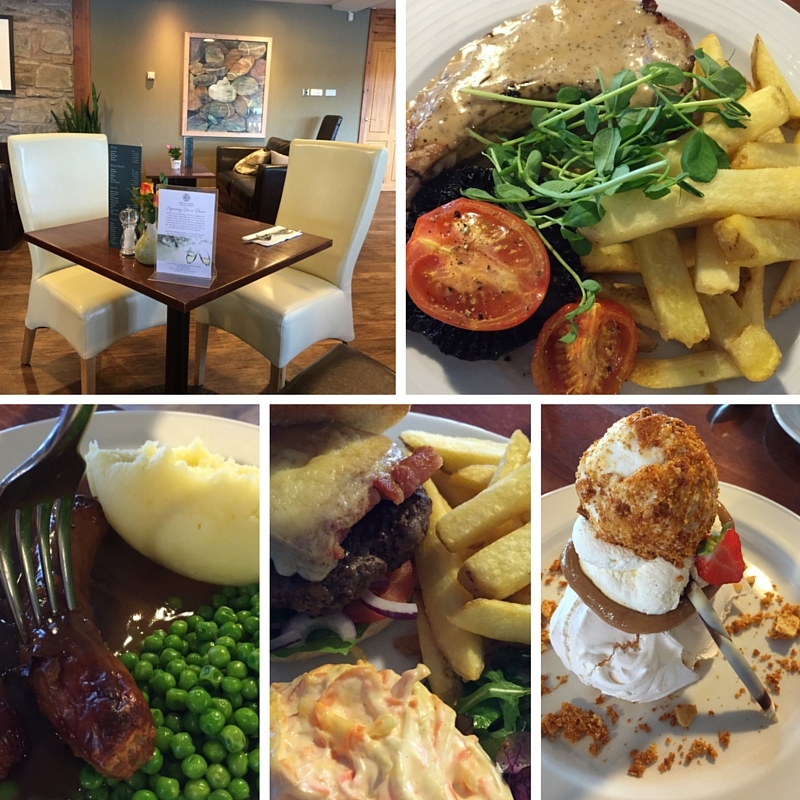 We headed to the Waterside Restaurant for lunch where local produce features prominently on the menu. The family farm next door to the resort supplies peas, strawberries, free range eggs, rhubarb, pork, beetroot, raspberries, blueberries, haskaap berries and salad leaves. 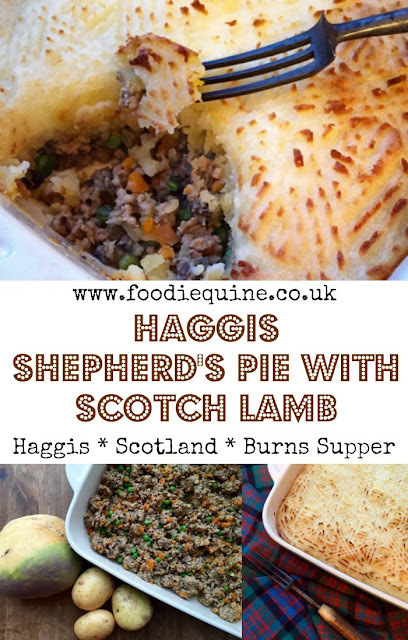 They also support other local family run suppliers and have been awarded a Taste our Best award from Visit Scotland. I had the pork dish of the day which was a fantastic chunky chop with peppercorn sauce. 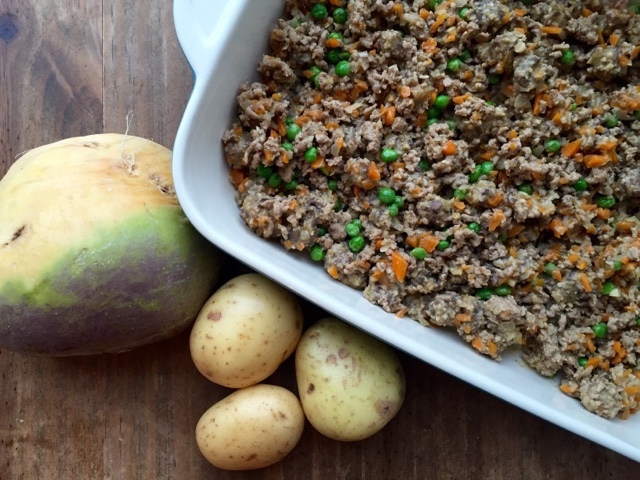 The Forbes Peas with my daughter's sausage and mash were some of the sweetest I've tasted. These definitely need to make an appearance more widely than just on the kids menu. I was joined over coffee by Marketing Manager Libby Forbes who took me for a tour of the function and events facilities. 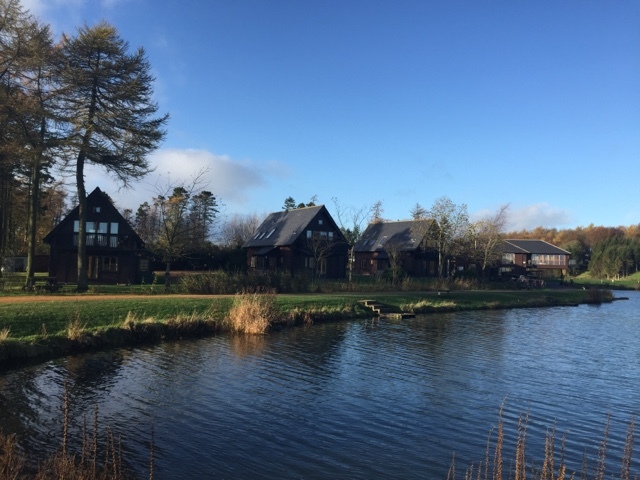 With such a stunning setting and a location central for the whole of Scotland they can cater for everything from conferences and weddings to family gatherings and birthdays. Upstairs from the restaurant the Inglesmaldie Suite can hold up to 150 with stunning view over the fishing ponds, golf course and countryside. Meanwhile the high ceilings, beams and natural light in the Buddon Burn Suite is perfect for more intimate events and I can imagine it looks wonderful for a small wedding. Our lodge was fantastically well equipped when it came to cooking facilities, plenty of equipment, utensils, pots and pans plus basics like tea, coffee, washing up liquid, dishwasher tablets and dish towels. Things like these make such a difference. The first night we cooked up an Orzo, Chorizio and Scallop Risotto before getting cosy on the couch for a movie night. Breakfast next morning was Bacon In Pancakes with Maple Syrup. 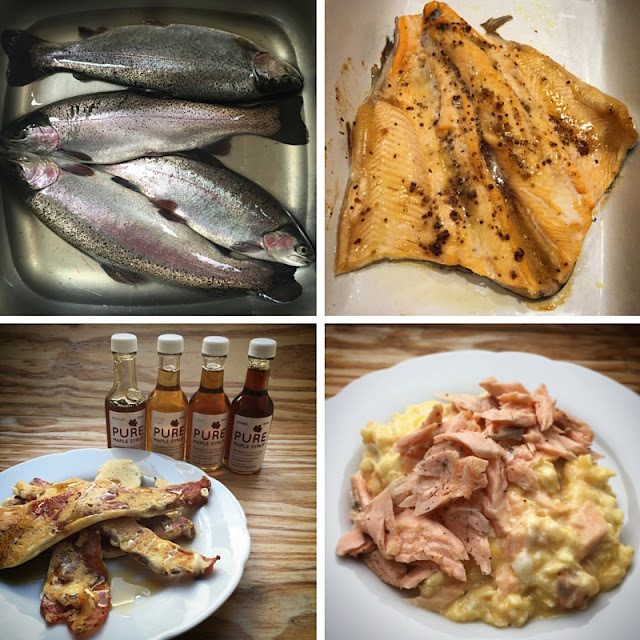 The Maple Syrup also made an appearance for dinner as we combined it with wholegrain mustard as a glaze for our freshly caught trout. 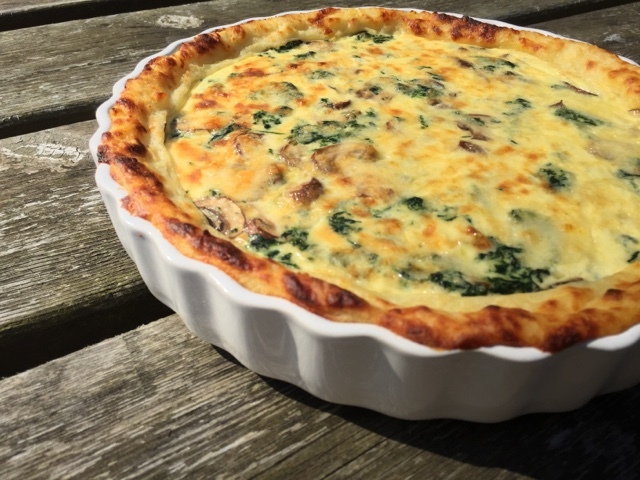 Leftovers were served up for breakfast alongside scrambled eggs. That's almost another item ticked off my foodie bucket list although I did specifically want to catch, cook and eat a fish on a riverbank. Perhaps its a case of close but no cigar. Two days passed way too quickly and all too soon it was time to pack up and head home. Recharged, relaxed with some new found fishing skills and a couple of trout for the freezer. Hopefully it's not too long before we can return and conquer the angus thistle maze. 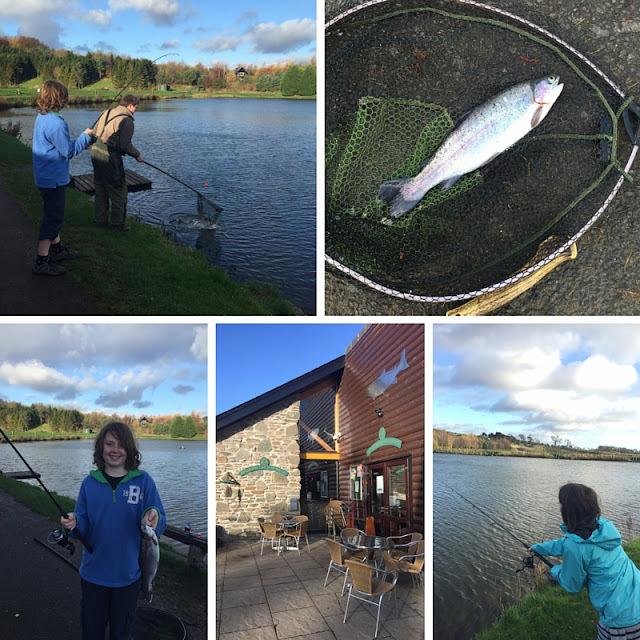 Disclosure: We lunched, fished, putted and stayed as guests of Forbes of Kingennie. All views expressed are my own. 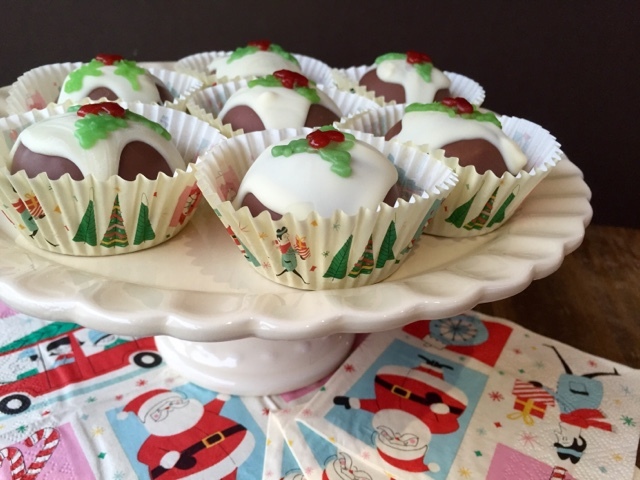 Such a quick and easy yet super visually impressive no bake Christmas Treat. 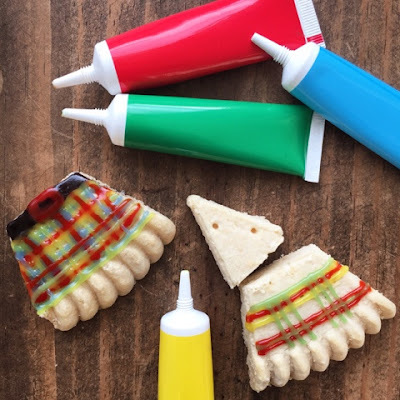 Perfect for kids to help make. 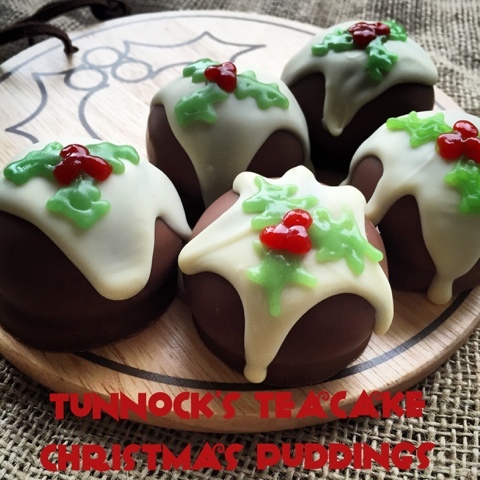 The iconic Scottish Tunnock's Teacake topped with white chocolate and red and green icing becomes a Figgy Pudding! So today is Stir Up Sunday. 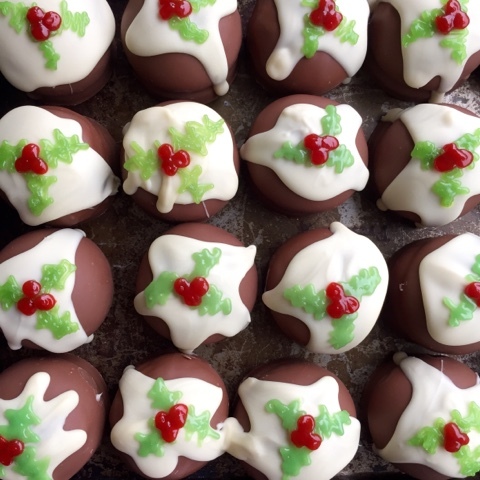 The date on which you should traditionally make your Christmas Pudding. If that all seems like a wee bit too much hard work I've got an alternative idea to share. 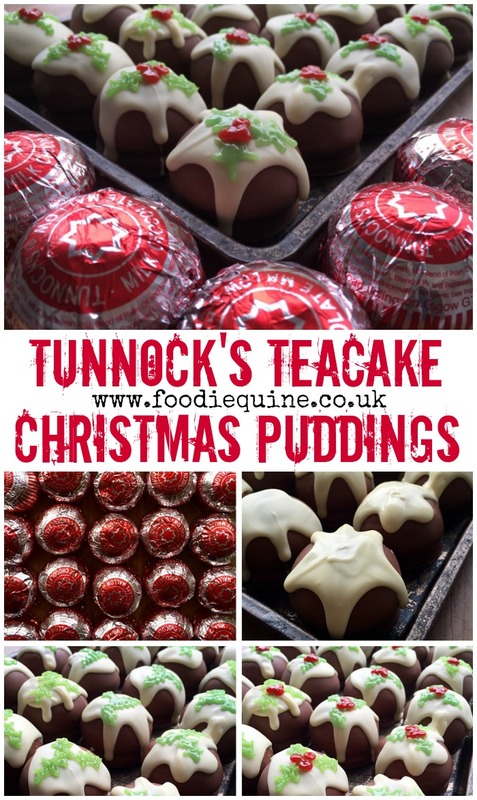 Tunnock's Teacake Christmas Puddings. 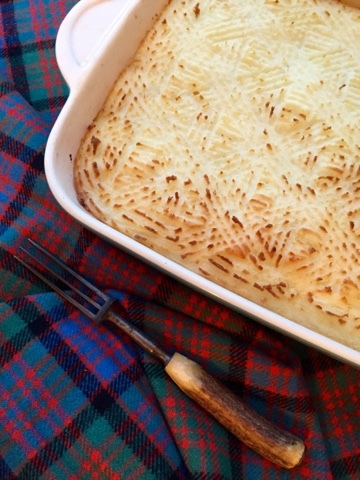 If you want to stick with tradition I've also blogged my failsafe 7 Cup Pudding Recipe along with a boozy pud from Neil Forbes of Edinburgh's Cafe St Honoré. Tunnock's Teacakes are quintessentially Scottish. Their iconic status was heightened when they made a starting appearance at the opening ceremony of the Glasgow 2014 Commonwealth Games. Tunnock's is a family baker based in Uddingston, Lanarkshire, Scotland. 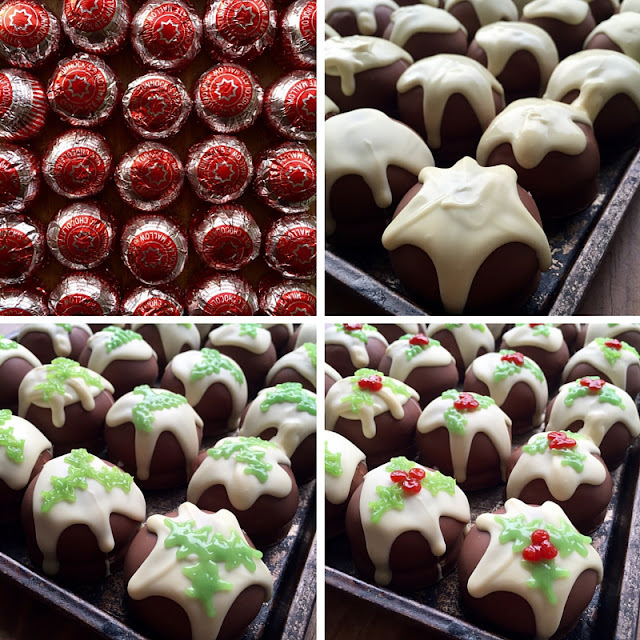 In addition to Teacakes they also make Caramel Wafers, Caramel Logs and Snowballs. 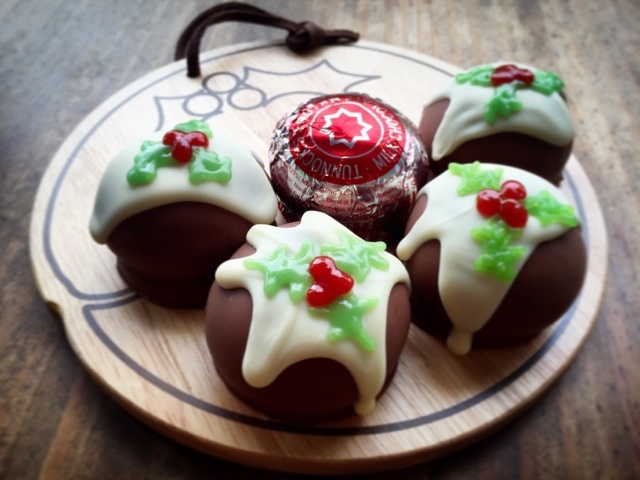 The Tunnocks Teacake consist of a round shortbread like biscuity base covered with a dome of marshmallowey Italian meringue. This is all then encased in a thin layer of milk chocolate (red wrappers) or dark chocolate (blue wrappers). 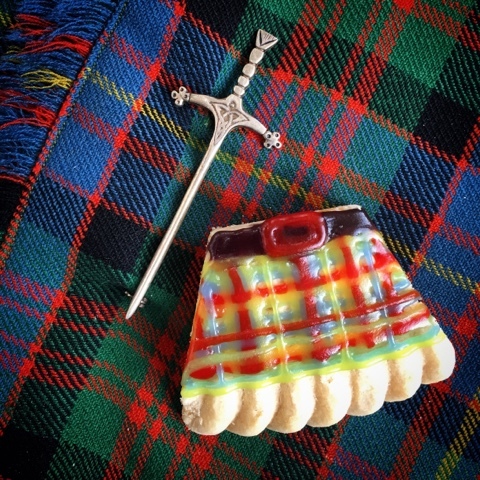 In Scotland the Tunnock's Teacake is an integral part of giving blood. 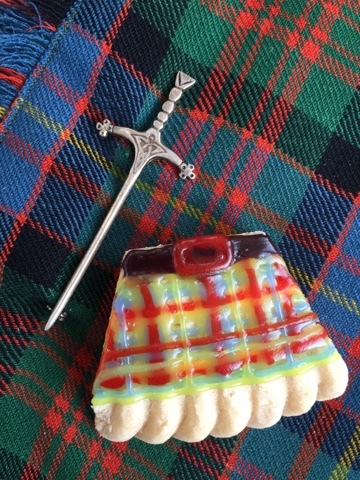 The Scottish National Blood Transfusion Service treat their donors extremely well and there's always a great selection of biscuits to enjoy with your cuppa afterwards, but Teacakes are the top choice by a huge margin. With over 700 donors through the doors each day that's a lot of chocolate and marshmallow consumed for a good cause. Blood is required the whole year round but there are particular pressures on the service over the Christmas period. Attendance by regular donors drops off due to busy festive diaries and adverse weather can cause travel issues and cancelled sessions. As the Christmas decorations go up blood stocks go down. 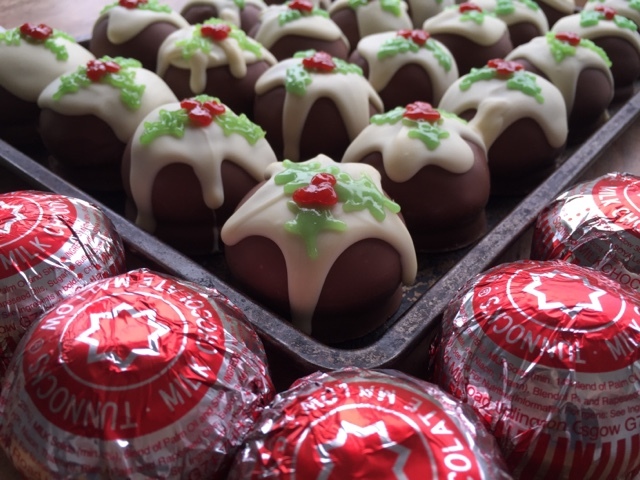 This festive season could you make time in your calendar to give blood in exchange for a teacake? You've got it in you to save a life. Melt the white chocolate and leave it to cool slightly, if it's too hot it will melt the chocolate on the teacake. Spoon the white chocolate over the top of the teacake and encourage some if it to run down the sides. Put the teacakes in the fridge for the white chocolate to set. Use green writing icing to make three holly leaves on the top of each teacake. You can be as anatomically correct as you like or just go for a green squiggle. Now we're into November I'm hoping that it's safe enough for me to start mentioning the "C" word? Feel free to burry your head in the sand but the shops are already overloaded with cards, gifts and decorations so I don't feel too guilty about my first festive blog post for this year. 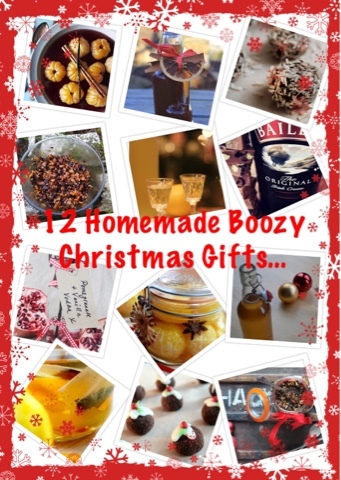 It will help you get in the Christmas spirit in more ways than one as today I'm sharing a dozen boozy recipes for homemade Christmas Gifts. 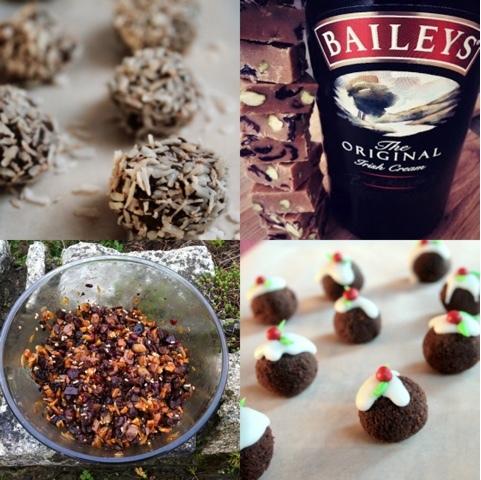 First up my own Christmas Pudding Vodka followed by some fantastic recipes from fellow food bloggers. 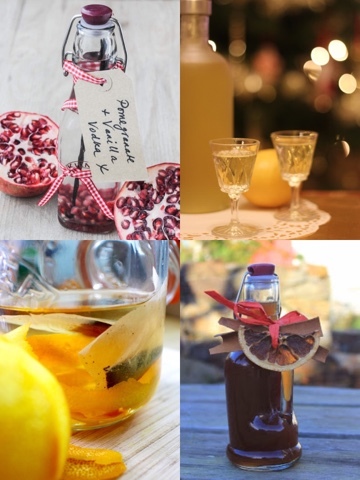 Be sure to enjoy a wee tipple yourself whilst you're hard at work making these gifts for your friends and relatives. Mix together all the fruits and spices in a Mason Jar or large bowl and pour over the Vodka. Seal the jar or cover the bowl with clingfilm. Place in the fridge for 3 days and shake/stir once a day. Pour the dried fruit and vodka mixture into the sieve and strain. 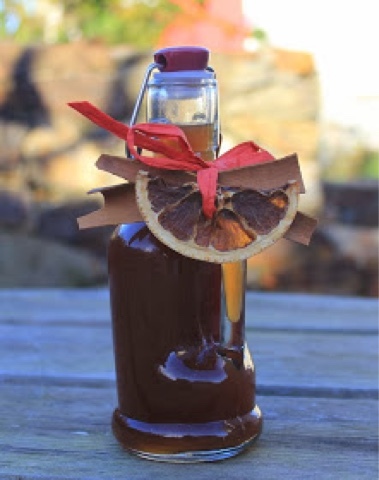 Decant into decorative bottles, ideally with the aid of a funnel to avoid a sticky mess. 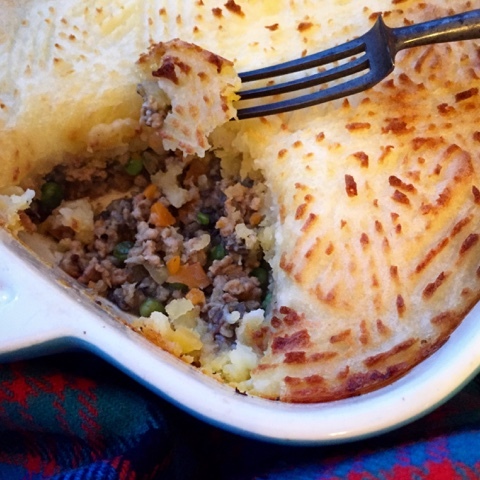 Serve at room temperature or from the freezer. Straight, on the rocks or with lemonade or tonic. 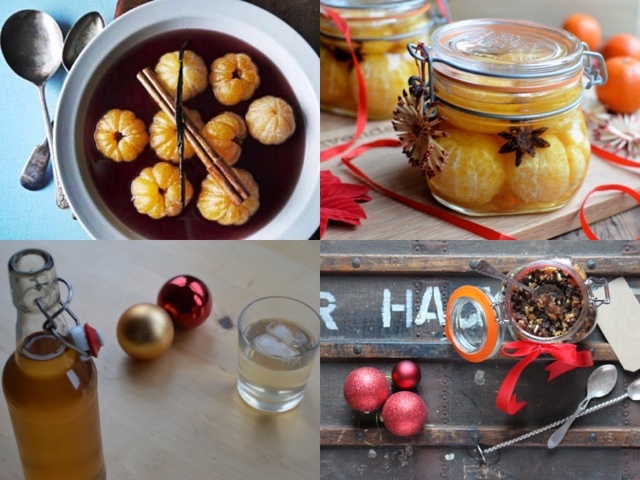 Use the fruit (with cloves/cinnamon removed) mixed through softened ice cream or as the basis for a boozy mincemeat. If you're still sober after all that you're doing very well! Vodka, Rum, Baileys, Red Wine, Brandy and Gin is quite some cocktail! 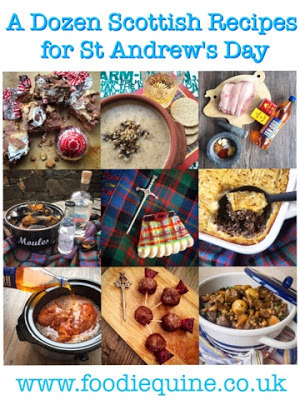 If you're not quite at the stage yet of being ready for Christmas cooking I've created a wee montage below featuring all the recipes. 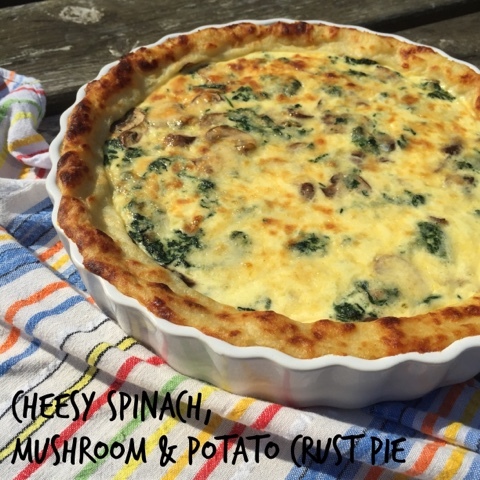 If Pinterest is your thing that's the one to share so you can easily find all these fab recipes again when you need them. 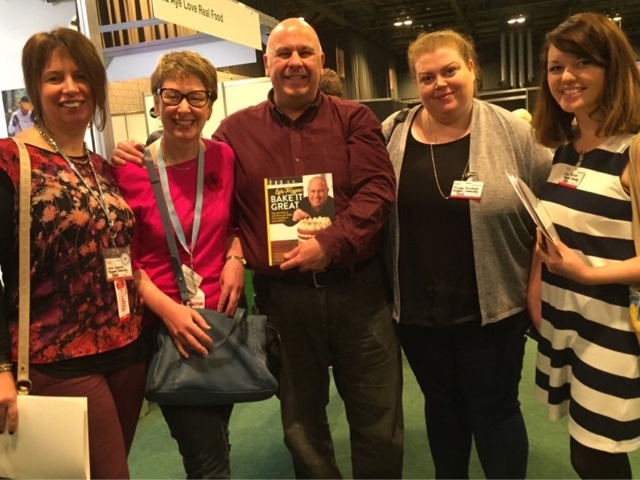 I'm blogging from my hotel room in Glasgow after a full day at the BBC Good Food Show Scotland in the SECC. I wanted to get a quick post up to share my top tips and must dos for the day for anyone heading there tomorrow or Sunday. It was my first ever Good Food Show so I don't really have anything to compare it to. It seemed quieter than I had expected but I suspect the weekend days will be much busier so I'd suggest you get there early. The show was officially opened today by none other than Paul and Mary and they'll also be there on Saturday. Book yourself a place on the #letscocktail masterclass. Best £10 you'll spend at the show. 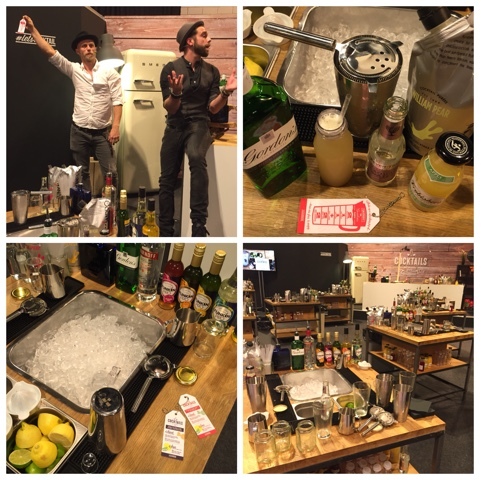 A fantastic hands on workshop with cocktail gurus Tom and Frankie. My favourite part of the whole day! Book tickets for a show in the supertheatre. Seats are numbered so there's no real need to arrive the specified 15 minutes before. Leave the car at home. Lots of boozy samples to be had. The exhibition hall is really warm, you won't need a coat. Comfy shoes. Its a long day on your feet. The pop up resturant is open 12-4pm. Go early or go late to avoid the queues. Bring a rucksack, trolley bag/box if you're going to be doing some serious shopping. Alternatively some stands will let you "buy now collect later" and there's also a "shop and drop" with donations to Guide Dogs Scotland. Plant-n-Grow - Fantastic Grow your own Gin Garden kits! These had all sold out on Friday so get there quick. 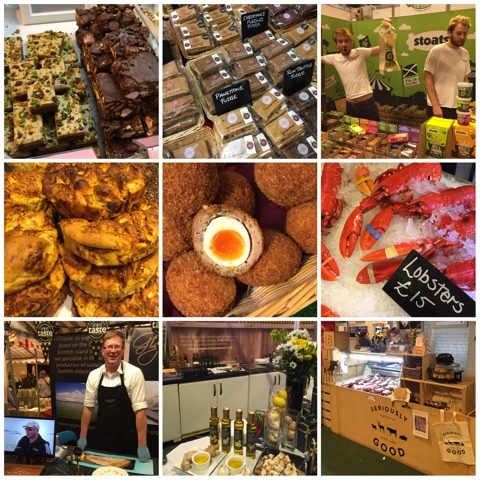 Have a fantastic time if you are heading to The BBC Good Food Show Scotland over the next two days. Its so difficult to see everything and I'm sure there are some fab stalls that I missed. I'm sorely tempted to go back again tomorrow to see Michel Roux Jr. And to buy another Scotch Egg! 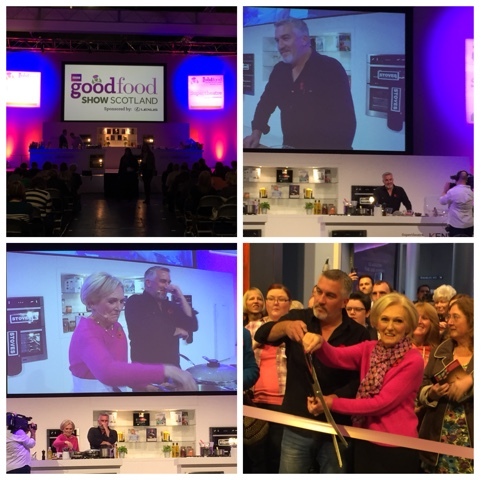 Disclosure: I received a complimentary press ticket to attend The BBC Good Food Show Scotland. All views expressed are my own. As a child my favourite bit on Play School was always when they went through the windows and you got to see what was happening somewhere exciting like a chocolate biscuit factory or dairy farm. 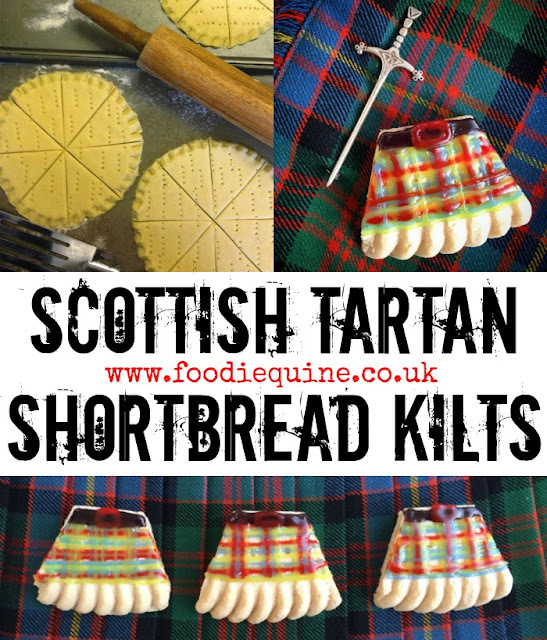 In the time that I've been blogging I've been invited to step through a few round, square and arched windows of my own and seen behind the scenes of gin production at Caorunn, made butteries at JG Ross and cooked breakfast on the shovel of a steam train at Deeside Railway. 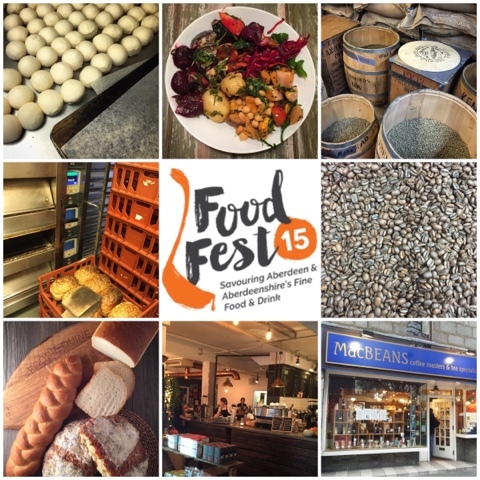 As such I was delighted to receive an invitation from Food Fest 15 to explore the word of bread making and coffee roasting along with lunch at one of my favourite Aberdeen city centre eateries. 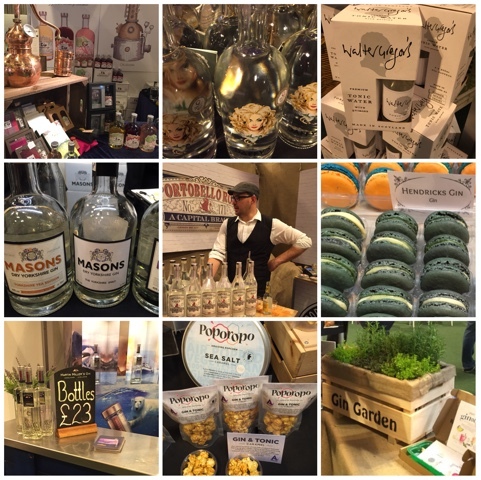 FoodFest15 is a year-long celebration of the fantastic food and drink offering in the north east of Scotland. 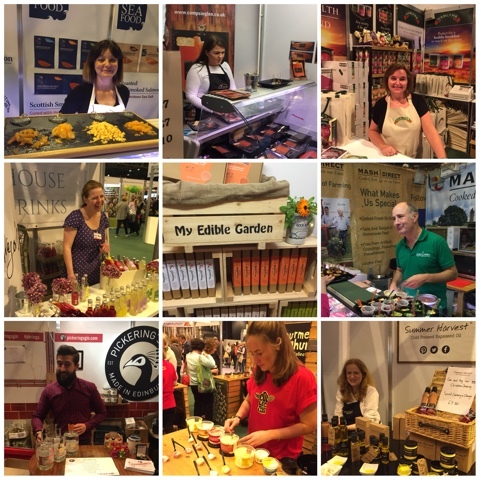 Bringing together local food producers, restauranteurs, hoteliers and retailers, the festival’s packed programme highlights the wide variety of food and drink offerings available in Aberdeen and Aberdeenshire. From world class foodie events to celebrity chefs, from distinguished fine dining to grassroots craft brewers, FoodFest15 offers a fascinating glimpse into the delicious fare produced in the region. 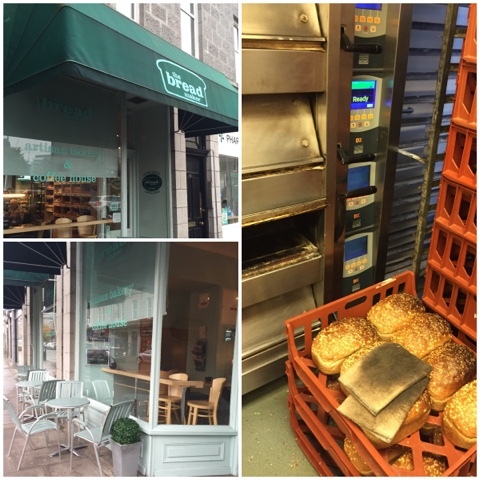 My first port of call for the day was The Bread Maker in Rosemount Viaduct. 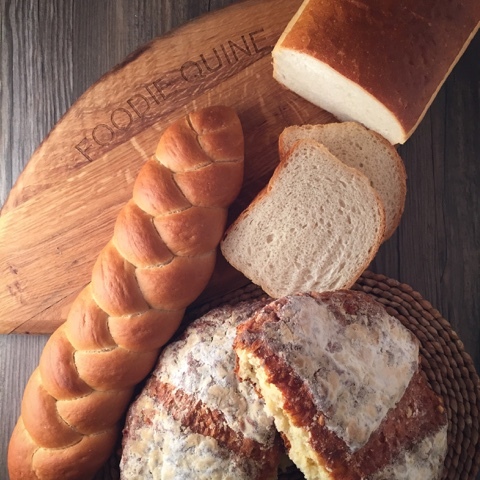 This inspiring venture combines artisan bread making and social enterprise, providing meaningful employment, training, educational opportunities and social activities to adults with learning disabilities. I was welcomed over a coffee by chief executive Donald Anderson who explained the history and ethos of the organisation. 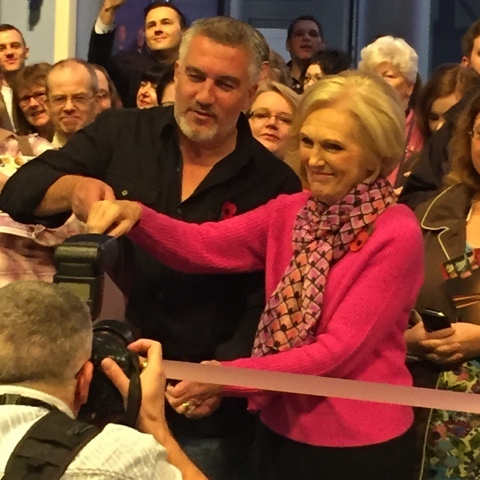 Opened in 2007 in a former bicycle shop The Breadmaker combines a commercially focused enterprise with registered charity status. Upstairs the shopfront and cafe is bright, airy and welcoming along with a canopy and outside seating, something which is sadly lacking in Aberdeen. Two floors downstairs, in the arches beneath Rosemount Viaduct is were the bread is made. One floor down is the thriving outside catering part of the business. 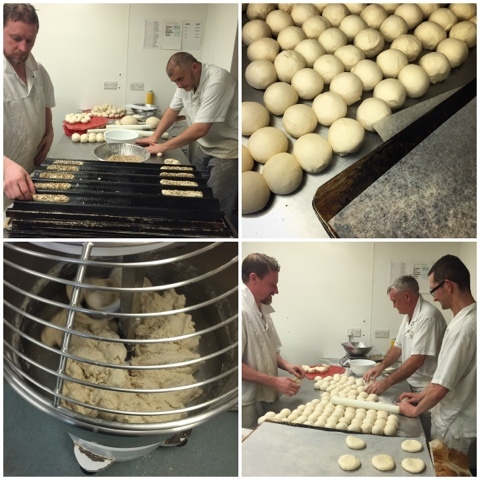 Here freshly made bread rolls are turned into sandwiches and buffets to head out to offices across the city. Going from bakery to boardroom in less than 6 hours and ticking both the tasty lunch and social responsibility boxes for their customers. Two floors down in a surprisingly small space for the amount of bread produced the bakers, apprentices and volunteers are all hard at work. The business has been such a success that they have almost outgrown their space and plans are afoot to move the baking part elsewhere in the city and continue the outside catering and coffee shop from the Rosemount premises. 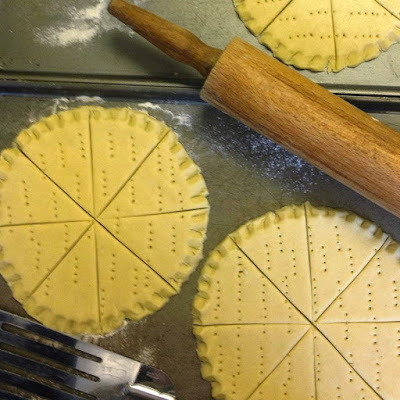 There are 26 Apprentices with learning disabilities at the moment, who work in the coffee shop and the bakery. They are supported by the same number of staff and a group of much valued volunteers. More volunteers are always welcome and can help make a real difference whilst at the same time learning baking skills themselves. If you're in Aberdeen and this sounds like something that might be of interest to you do take a look at the Bread Maker's Volunteering Page on their website. Time for me to make some bread of my own. My tutor was Master Baker Darren who also runs bread making courses in the bakery. Courses take place on Sundays throughout the year and cost £150. 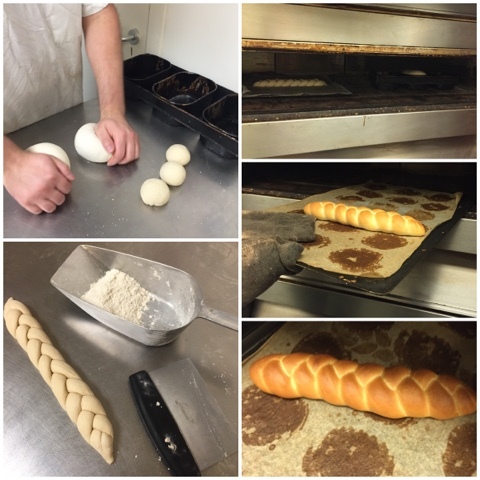 They cover how to make a range of bread from the simplest to specialised breads such as focaccia and ciabatta. 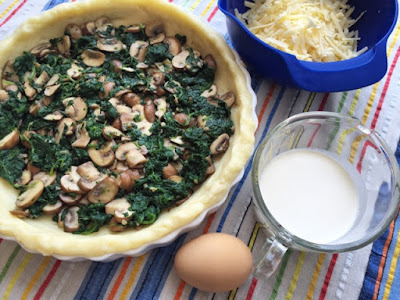 Your lunch is also provided along with a folder of recipes and you take home everything you make. My 13 year old son, who has bread making ambitions of his own, has already started dropping hints that this would be the perfect gift for him. We'll just have to see if he's naughty or nice between now and December 25th. However I'm sure he's not the only foodie who would appreciate a voucher from The Bread Maker in their Christmas stocking this year. Worth putting on your letter to Santa if you're anywhere near Aberdeen. Starter bake was a plain white loaf. I've never used fresh yeast before so that was a first for me. It felt almost like putty. Useful to know that if I wanted to buy some most supermarket bakeries should be happy to oblige. Darren also busted the myth that you have to keep the salt and yeast separate in the bowl. No need if you're making the dough straight away. Time to get kneading and the stopwatch was on for 15 minutes. I looked wistfully at the huge mechanical mixer across the room as it worked away at a batch of dough for rolls. It and the bdm (bun dividing machine) were the only labour saving devices, everything in the bakery is done by hand to traditional methods. 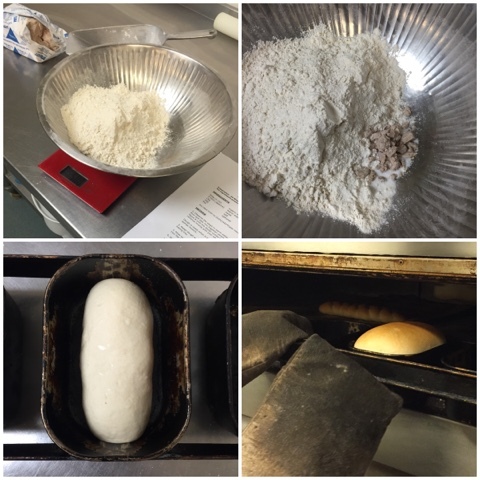 Rather than put my whole lump of dough into the bread tin we weighed it to ensure consistency and used the excess to make a plaited loaf. It was much easier with dough than with my daughters hair. Both loaves went into the prover before heading for the oven. No rest for the wicked and I was set to work making a cheese damper bread. This is pretty much a cross between a scone and a soda bread and I'd been admiring them whilst in the retail area upstairs. Very quick and easy to make and a perfect loaf to throw together at the last minute. 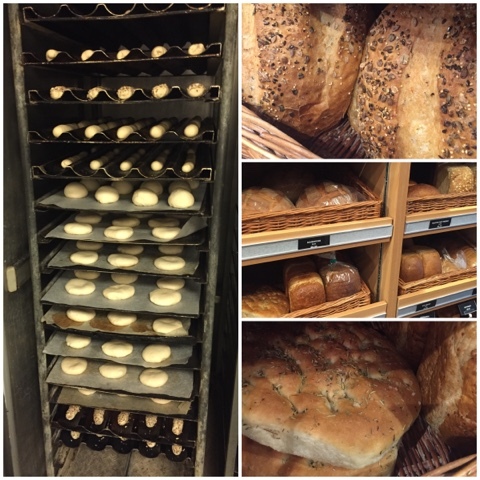 Top tip for baking bread at home in order to create steam is to put some ice cubes at the bottom of the oven, also set the temperature slightly higher than you need as it will drop as soon as you open the door to put your bread in. Remember to turn it back down whilst you're baking though. Lunchtime was looming so I left my three loves baking in the giant oven and headed off with the promise to return later to collect them. 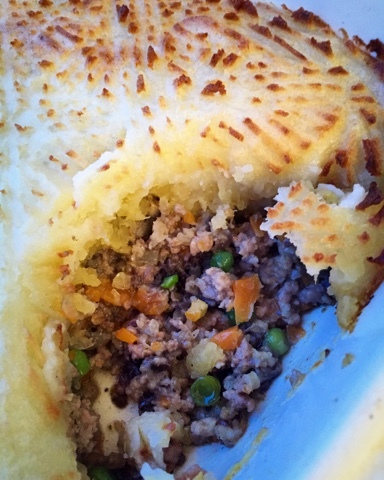 I'm no stranger to the delights of Food Story in Aberdeen's West End. In fact I'm responsible for a miniscule part of its success as I took part in their initial crowdfunding initiative. My name is up there on the the Foodstory thank you Chalkboard along with 139 other backers who helped them reach and surpass their £8,000 goal back at the start of 2014. £10,070 was pledged which enabled them to take the next step and move around the corner into new premises. A lot has happened since then and in Spring this year they knocked through next door into an empty property to double their space. The new space is equally as inviting as the original and is full of quirky recycled decor which sits perfectly with their whole ethos as encompassed by their 3 stories. All good food has a story. 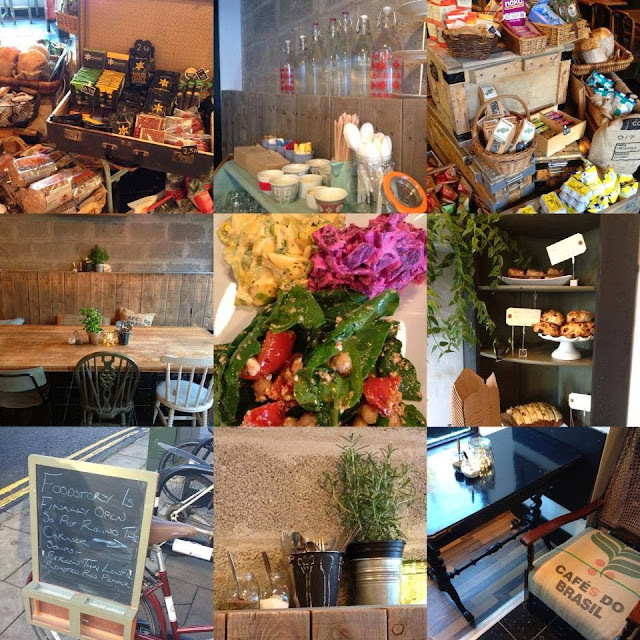 We are dedicated to giving you, our customers, homemade, wholesome, healthy, organic free range,local food. We want less waste and more recycling in this lovely world. This is why the café was hand built and almost everything in it was made with recycled materials. Our packaging is made from plants and the vegetables we use are organic. You need to get there sharp to secure a seat at lunchtime as its location in the west end means its very busy with both workers and shoppers. The queue was constant the whole time I was there and there's always such a happy buzz about the place. 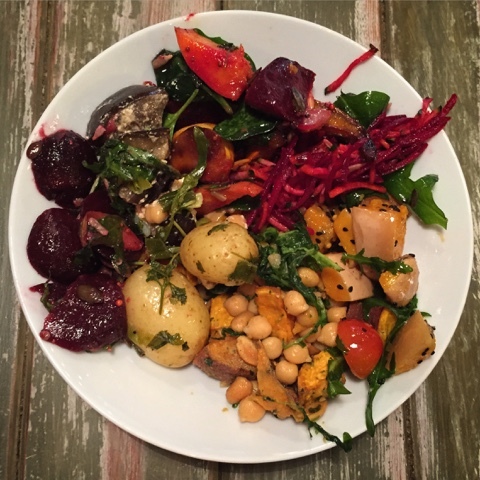 I enjoyed a warming bowl of soup plus a selection of salads. The salads at Foodstory are absolutely outstanding. Such interesting combinations of flavours, colours and textures, by far the best I've come across anywhere. So filling and nutritious too. Co-owner of the cafe Sandy joined me for a chat after I'd eaten and filled me in on the next step of their journey going forwards. 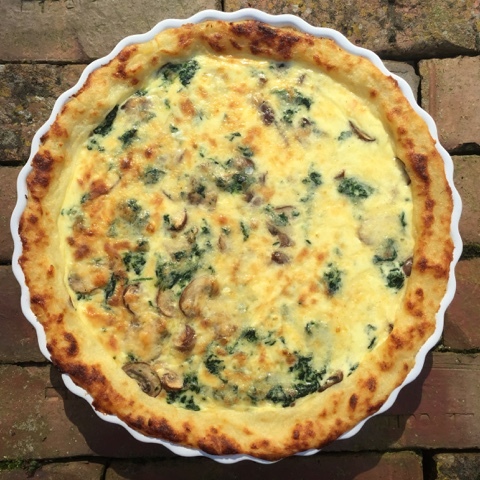 The food has always had an emphasis on vegetarian, vegan, raw and gluten-free dishes however there are still options for carnivores but in time this might change. The stumbling block to going purely veggie is their amazing sausage roll. I'd certainly miss it from the menu big time. The new space has enabled them to open in the evenings initially on a trial basis but now the hours extend to 9pm every night except Sunday & Monday. You can currently BYOB but plans are afoot for a drinks licence. Also expect to see more events happening in the space with live music, films, foodie events, food swaps and a community market all in the pipeline. Lots more pages to be turned in this particular story. 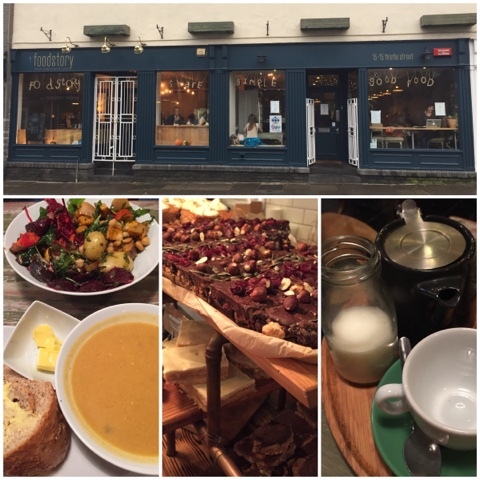 My next stop on my foodie journey round the city was MacBeans, coffee roasters and tea specialists, located on the corner of Back Wynd and Little Belmont Street. The shop celebrated its 25th Birthday last year and I had thoroughly enjoyed reading a piece written by Victoria Pease at STV online about its history. It was a delight to meet owner Ian Cukrowski who is a man with tremendous knowledge and passion for all things coffee. The shop itself is a wonderfully cosy Aladdin's cave of all things tea and coffee. It somehow manages to combine an olde world feel of blue cannisters and a dark counter with every modern gadget that a hot beveridge conniseur could possibly desire. And of course there's the ever present smell of coffee and the smiling personal service of knowledgeable staff. This is exactly the kind of retail experience that online shopping can't hope to replace. Ian led me downstairs to the celler where all the magic happens. Hessian sacks, barrels and chests of coffee beans from across the world all with their own stories to tell and individual characteristics. I had no idea that all the coffee was freshly roasted in the basement of the shop. This freshness makes a huge different to the quality of the coffee you purchase. Every single bag of beans makes its way down a brewery style chute on Back Wind and Ian tells me that his body bears the scars of manual labour involved in manhandling all those beans. Inspired by a coffee merchant in Dundee Ian learnt the trade from a standing start when he set up the business 26 years ago and since then has visited coffee plantations around the world. 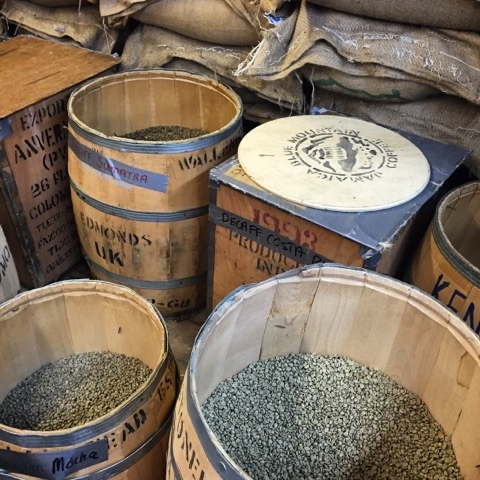 As is the trend with many food and drink products these days, provenance and single sourcing have become increasingly important in the world of coffee. 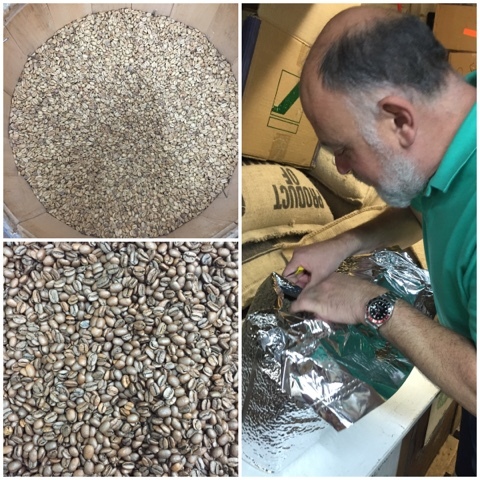 I was surprised as to how different all the different varieties of green coffee beans looked and interested to hear the stories behind them from both large and small producers. Their current coffee of the month is from female coffee farmer Iris Maricela Aguilar, who owns a 2.8 hectare farm in Santa Lucia, Honduras. You can't get more traceability than that. Time to get down to the business of roasting. The green beans get poured into an almost tumble dryer like machine which roasts as it turns. There's a small viewing window at the front where you can visibly see the colour changing, a temperature gauge on the side and a scooped tube to remove a sample and see the progress. This is where the real skill comes in to play. Ian says he tries to go for a Goldilocks coffee. Not too light, not to dark, but just perfect. Of course the roast is only part of the story. Then comes the blending. 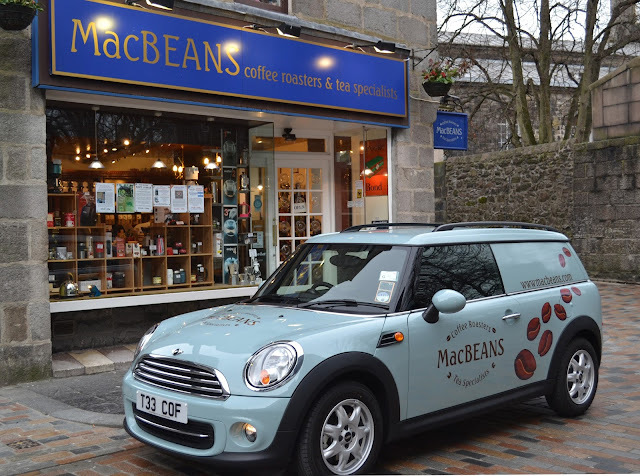 Macbeans sell a selection of blends to their own specific recipes and also have some special creations for some of their trade customers. We headed upstairs to brew up some coffee and continue our caffeinated discussions. The shop's clientelle has changed over the years as coffee has become the hipster drink of choice. New ways of brewing such as Chemex and Aeropress have had an influence and of course Christmas time provides a huge boost to sales. We discuss the thorny issue of Fair Trade coffee versus Rainforest Alliance and then I'm set the challenge of sniffing out the different aromas that can be found in coffee. With a set of 40 little jars I fail miserably to identify smells such as potatoes, rubber, peas and butter. Not sure I actually want my coffee to smell like any of those but it provided a fascinating insight and a fun way to end my afternoon. All I had to do now was pop back to The Bread Maker to collect the fruits of my labour. My three loaves were ready and waiting for me and I headed home to feed them to my family whilst regaling tales of my Food Fest 15 adventures. For more information on FoodFest15, visit www.foodfest15.com or follow the festival on Facebook at www.facebook.com/foodfestfifteen or on Twitter @foodfest15. FoodFest15 coincides with Scotland’s Year of Food and Drink, and is a partnership between Aberdeenshire Council, Aberdeen & Grampian Chamber of Commerce, Aberdeenshire Tourism Partnership, Aberdeen City and Shire Hotels’ Association, Banffshire Coast Tourism Partnership, Scottish Enterprise, Visit Royal Deeside and VisitAberdeen. The project is supported by VisitScotland. Disclosure - Press Trip courtesy of Food Fest 15. Thanks to Tricker PR, The Bread Maker, FoodStory and Macbeans for facilitating. All views expressed are my own.